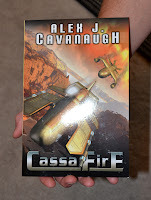 Alex J. Cavanaugh: The Big Announcement! Congrats Alex! It looks great. Congrats from now! :) I signed up. Hmm, but I don't know where should I link the button. To this post? How exciting, looking forward to this and signing up now :) Have a great week-end Alex! Javid, you can just link to my blog for now. 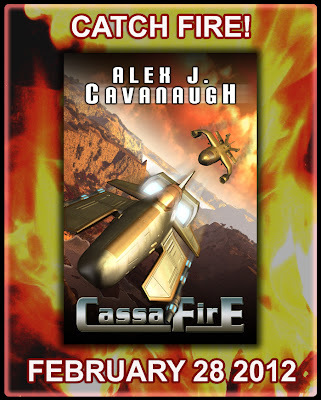 I'm going to create a separate page later today for the Catch Fire event. 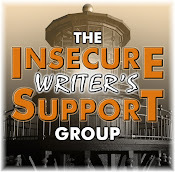 Great post, sorry I missed this week's insecure writers, went away a day earlier. Have a good day and wonderful news about your book, pleased for you. Looks awesome. Do you know what's going to be in the trailer, or will it be a surprise to you, too? yeah! how exciting for you! and now i have my first event down for 2012! I'm definitely in, but I'll have to come back to sign up as I'm having display issues. Bryan, I know that Byron speaks! I'm so excited! I signed up. ... and we get a woman too! Yay! They, and you, are doing it right, getting everything set up to go ahead of time. Congrats man. How nice to have your book in your hand. What a rush that must give you. Far out! And I'm signing up too. The more the merrier. I'll be in touch about that interview, as I've already read it so I don't want to participate and take someone else's chance away. Kitty, I thought Bassa was your man! I just signed up. A party sounds like fun. You and Talli are giving me great ideas. No need to enter me to win a copy, I'll buy one :). I would like to have you on my blog early next year to discuss social media tips while promoting your books. Big congrats on the book. Can't wait to see the trailer. And I'm thinking "trilogy" has a nice ring to it. you got a friend in me. more than happy to help in any way I can. Whoop whoop whoop! Cannot wait to see the trailer. And I'm in! I'm in! So excited for you, Alex! I signed up Alex. I can't wait for your trailer. I bet it's amazing. And quit feeling guilty for Pete's sake. This is success! Savor it, you've earned it!! George, as long as it's just as cool, I'll be happy! Isis, thanks for that. And I'd be delighted to visit your awesome blog. It's been a long time since I added a button to my sidebar. I'm trying to add the Catch Fire button to the sidebar but it's not working. How do you add a button to the sidebar again? Great cover art! Who does it for you? Congrats, Alex! And I like the cover! Are there more books in your future? I remember when you weren't sure if there would be a second, and look at this-- it's real!! Alex, can't wait to see your trailer! I'll be contacting you about being a guest Over Coffee and setting up a date. I'll contact your publisher too. I'd love to take part in your tour, but I've got too much on my sidebar already! Let me know if I can take part without it (secretly) and I'll email your publisher for now. Jeffrey, I always save it as an image and add it as a picture. Then you can provide a link as well. Mark, my publisher does the artwork. Matthew, you can participate without putting up the badge - that's cool! Alex, that is wonderful. Congratulations! Signed up! Already got the book cover image on my sidebar. You'll probably have more sign ups than you can handle. I think you will do great with this release. Congratulations Alex! How exciting for you. I can't wait to see the trailer! Congratulations Alex! I have signed in. Congrats on all your great news! Can't wait to see the trailer. 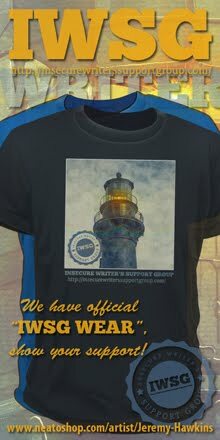 Glad to hear, too, that the IWSG is going well. Sweet. I signed up, and emailed your publisher. So excited for your new book and trailer! Go Alex!!! Lee, one can never have too many! Congratulations, Alex! I didn't sign up because we'll be at baseball spring training then, and I'll have no control over my computer. Congratulations, Alex! If you need more tour stops, I'll gladly sign up for that. Congratulations Alex. Looking forward to the release and party. I'm in. Looking forward to reading it. Of course I signed up! In case you still look for hosts for your blog tour then let me know. I would be glad to be part of it. I can't wait to see and post the trailer. Can't wait to see the new trailer. The last one was awesome! Congrats! I would love to sign up but feb is such a long time away I'd hate to sign up and then something happen and I not be able to or something. Congratulations Alex! Best of luck with number 2. Monti, you can also pre-schedule! All signed up and ready to go. Sweet. Alex, I don't know how you cranked out two books - on top of everything else you're managing - so quickly. Of course there will be a third. Your fans will stand for no less. Love ya and I'm signing up. Robyn, thank you for the vote of confidence! I'd love to host you Alex. I'm going to sign up for the review copy and see how it goes. Congratulations Alex! So happy for you! Now on to the 3rd book! Whoo Hoo!!! All signed up and am looking forward to Cassafire. the cover looks great. I know this will be EPIC. You are a brilliant storyteller. Signed up and got CassaFire on my sidebar. This is great news and I look forward to participating. You know I'm in! I'll put your button in my sidebar. Yay! I'd love to host you on my blog :D Gonna grab your button and put it on my blog as well! Congrats! Alex, pencil me in for anything I can do to help promote CassaFire! I'm here to help. Looking forward to the trailer! I'll do the sidebar promotion too. Great, hope to see soon the trailer full of fire. I loved your first book. Looking forward to the next. Congrats. I am signed up. Congrats on your good news. And looking forward to your party. Thanks Stephen - I'll get with you soon. I signed up. And I'll host you one day. I'm in! And perhaps you could help me in reciprocation (no pressure!)? Congratulations! That's awesome news. Have a good weekend. It has been way too long since I've been around, but it looks like I chose the right day! CASSAFIRE!!!! YAY! I shall be requesting my review copy, and I look forward to reading the next big adventure. I will do my best to come around more often! Keep up the good work! JC, I do everything I can to promote my blogger buddies and their books! Bryan!! Yes, it has been way too long, dude. You timed it right though. Thank you everyone for your support - you rock! it is incredible! As you recommended I sent a mail to your publisher in order to ask for a review copy. They replied that my review copy is on the way. That's awesome!! Any preferences when you would like to see my review online? Edi, whenever you are done reading it is fine! I'm sure my publisher wants some early reviews anyway. Glad they sent you a copy. I am enlisted. The button is so cool it is going to the top of my side bar. I really can't wait for the book and it would be spectacular to win one so I am bulding my voodoo doll now! Congratulations, Ninja Captain! I couldn't be happier for you. Totally awesome dude!! But I am going to be the minority here and not sign up. You know my life is just too screwed up to commit. Jules, your cheers are enough. I forgot to mention for you not to enter me in the contest. I'll buy my copy. :) Going to put up your image on my blog now. Soul Mate Publishing Launch Party October 12th. Visit my blog: http://donna-realworldwriting.blogspot.com to sign up for the Blog Hop and party!! Exciting news! I'm definitely in for the Catch Fire party! Looks awesome. I'll keep my eye peeled for it. Amity, I won't let you forget - thanks!! Ciara, thanks, that is sweet. Thanks Donna, Liz, and Alexia! I have to go looking for a photo of fire for the 28-F. CONGRATULATIONS!!!!! I hope you have many sales and many good reviews! Well done Alex. I'm looking forward to another cool trailer. Leovi, I'm sure you'll create something awesome. Congratulations, Alex! Looking forward to the new trailer! Fantastic idea/approach to CasssaFire ~ of course I am IN! Hey Summer! Good to hear from you. Ali, everybody loves you. And thanks! Congratulations, Alex. Your news is all over Twitter, too, so I guess you could say you've gone viral! I'm in! Wow, your second book. That is really spectacular. Just dropping by to say hello! Blogging can be a huge thing. Enjoy the small break. I think. I'm in! Congratulations again, Alex, you must be so stoked! Can't wait to get a look at the new trailer either. Signing up and marking my calendar. I'll help you Alex...very exciting news. Elizabeth, today was a holiday, so not posting until Wednesday. Sangu, Mary, and Nancy - thanks! Major congrats, Dude! Two books in a year is great. (Five books in two months is overload: take the word of one who knows.) Looking forward to guesting here in a couple of weeks, and I'd love to have you guest for me in Feb-March if you're not already booked up. That's so exciting! I'm looking forward to seeing the trailer too. Thanks, Anne! The first one came out in 2010, so there's a bit of time lapse there. Lynda, I can't wait either. Soon!!! Congratulations! How exciting! Can't wait to see your trailer. Huge congratulations! Very excited for you! How exciting, Alex!!! Love, love, love that cover - and I can't wait to buy a copy of the book. I signed up! Ready and willing to display that button! Book looks great! Congratulations! This is exciting for me. I can't imagine how exciting it is for you. Thanks everyone! I hope to see the trailer this week. Congratulations! I'm very excited for you! This is terrific news Alex! Congrats! Alex, my boy, you are always thinking ... how do you find the time and energy? Happy to help. 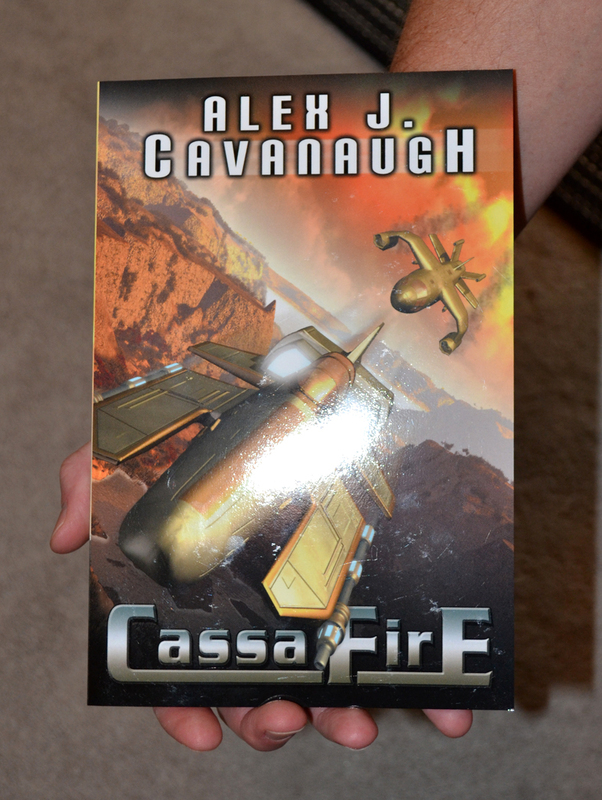 That's a cool-looking cover, Alex. Can't wait to see the book trailer. How exciting! How exciting. I signed up to review your book. The 2012 event sounds awesome! That is a seriously awesome trailer. I'm not that impressed with trailers for some genres (literary and women's fiction trailers can be pompous and/or lame) but for sci fi like this--fantastic!